Authentic Income System Review – Scam or Legit? Welcome to my Authentic Income System review (& no, it’s not my Authentic Income System). This is another system that’s claiming it can make us rich without a great deal of effort & once again I’m here to find out whether or not the claims actually hold true. Yep that’s right, this system claims it can guarantee you an income of $11,324 every month. I’ve seen some bold claims made in my time but that one definitely has to be there in amongst the top 10. My only concern so far is that if system is helping complete newbies make $11,324 every month then why did I only happen to stumble across this product – shouldn’t I have been hearing about it on the news? I’m pretty positive it’d make a headline! According to the video this system is created by a guy named William Matthews. The video starts off pretty entertaining with a video of a Porsche Boxter revving it’s engine, but then it quickly goes to a dull voice reading off a script. The guy tells you how he was broke and fearing bankruptcy most of his adult life, basically trying to connect with you but then he goes on to make an interesting statement. He claims he’s going to show you the system making money right in front of your eyes… That’s worth sticking around for right? (I have to admit it was pretty hard to stick around – of all the binary options videos I’ve seen this one is one of the dullest I’ve came across). 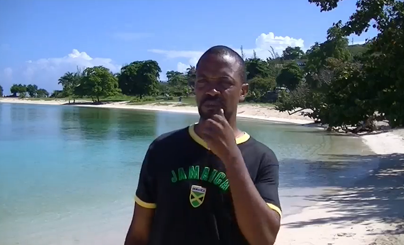 Regardless I did manage to stick around, but before I got to the “proof” it ran through a couple of video testimonials. To me these testimonials looked like they were created by actors simply because they each started out in the exact same manor – I could be wrong but it certainly looks that way! UPDATE: The testimonials are definitely fake…. Remember this guy from the video? 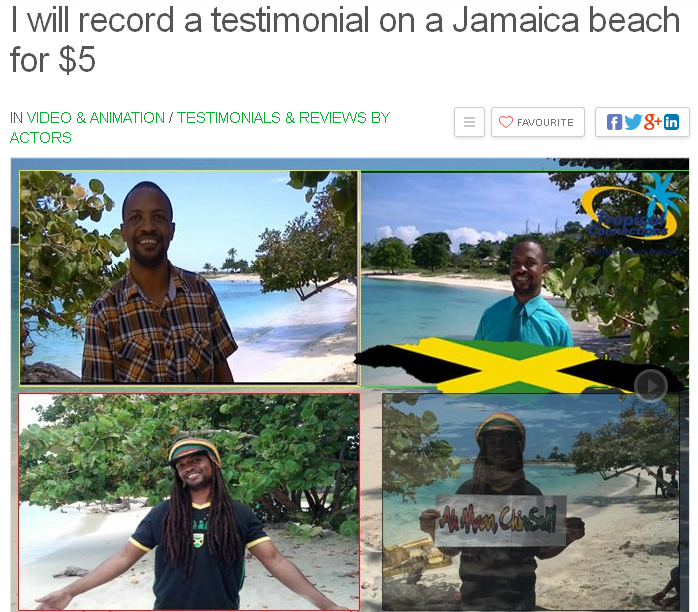 Yep that’s certainly the same guy alright & he’s selling video testimonials for a Fiverr…. Uh oh, this doesn’t sound good! Despite that I kept going… I wanted to find out what this system was all about, even though right now I was extremely skeptical. The video is painful to watch, but I actually think that was part of their tactic. I think they just want to make you click that download button even quicker! To be honest I gave up watching the video, maybe there was proof the system works in there but I just couldn’t take it any longer. Once you do click it you’re asked for your email address. After submitting your email you’re taken to another page telling you your account has been approved, however before you can “access and activate your A.I.S. software” you can to complete 2 extra steps. You guessed it, the first step is to activate and fund your broker account – ermmmm, no thank you! I certainly won’t be relying on a system where the actors have been hired for $5. If the video had convinced me I might have actually gone ahead and tried it to let you know my thoughts but after my discovery I certainly won’t be putting any money into this system. Whether there’s actually a system or not I’ve no idea because you’re not given access to it until after you’ve made a deposit, and that’s something I certainly wasn’t going to do. However I want to let you know how this system actually works & then you can make a better decision as to whether or not you want to use it, and more importantly whether or not you trust it. Basically once you enter your email address into the form on the homepage you’ll be put on the website owners email list. From there he’ll continue to contact you with not only this offer but tonnes of others too. This means that even if you don’t go ahead and get the system he’ll still be making money anyway because chances are he’ll sell you something else via email at a later date. Aside from that, if you do actually go ahead and sign up with the broker then he’ll receive a massive commission. I say it’s a he, but who knows – William Matthews might not even be a real person. You’ll probably be asked to deposit at least around $200 to $250 with the broker and then once you’ve done that they’ll even call you up to get you to deposit more. Obviously you don’t have to deposit more if you don’t want to but they’ll definitely try and make you. It looks more to me like this system has simply been set up by an internet marketer that’s looking to make commissions from referring you over to a broker. Admittedly whilst I don’t like binary options, some of these systems are created by actual traders and they may have a bit of value to bring to the table. The ones that are created by internet marketers however generally do not. Personally I’d avoid this system simply based on the fact that the people in the testimonial videos have been hired from Fiverr. That’s a big red flag! However even in general I don’t really like binary options trading, to me it’s just a gamble & you’ve got about as much chance of coming out with a profit as you have leaving a casino. Out of all the systems out there there’s probably about 1% of those that can actually help you win your trades but there’s no way these systems are going to be free. If you’d developed such a system you’d definitely put a price on it because it’d be so in demand – who wouldn’t want a system that’s going to help them make money? That’s why I’m always immediately very skeptical as soon as I come across a free system that makes such bold claims. So I hope you enjoyed my review & more importantly I hope it helped you save some money! If you have happened to try out the system or have anything to say about it then please feel free to leave a comment below. It’ll not only help me but it’ll help others that might be considering buying into the system themselves. Thanks for reading! The Ripple Code Scam – My Review Exposes How It Really Works! My Affiliate Insider Review – Scam System? My Online Dream Biz Review – Looks Like a Scam!